Let’s fast forward to January 2017. You’re looking at the numbers for last year’s marketing campaign. What delivered leads and sales? What kept existing customers loyal despite the best efforts of competitors to tempt them away? You tested new approaches and signed off some eye-catching creative work – the marketing activity everyone in the business sees and has an opinion about. Back at the beginning of 2016, many marketers predicted that getting content marketing right would be their main mission of the year. They were right. So looking back from your future vantage point, what did you learn? Asking the company’s directors to try to find and buy the company’s most valuable products on a mobile phone. Getting the PR manager, social media manager and PPC account manager in the same room to discuss how to disseminate content. Testing audience response to content ideas using small-scale paid social media trials. Fixing analytics to help optimise content. 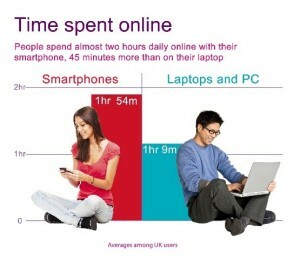 Digital content marketing got real-time, personal and physical. Video got affordable, shorter and went everywhere. Social channels and messaging apps got meaner with traffic – and started eating your website’s lunch. Social media customer service got meaner too. Everyone talked about virtual reality, very few brands figured out how to use it. 1. Asking the company’s directors to try to find and buy the company’s most valuable products on a mobile phone. they were spending time and money. 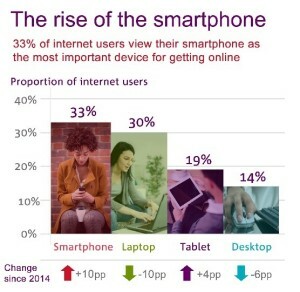 What’s more, the growing number of people with access to 4G were increasingly likely to use their phone for shopping and banking as well as browsing, social media and messaging apps. Your next step was commissioning that much-needed responsive website to render pages according to the size of screen being used. 2. Getting the PR manager, social media manager and PPC account manager in the same room to discuss how to disseminate content. Getting these three colleagues together was long overdue. They all have a stake in “reach” – one through traditional media, one social media, one paid media. Their eureka moment was realising they were each trying to reach the same audience just via different channels. The example that got you thinking was the Man on the Moon ad from John Lewis for Christmas 2015. The creative work cost £1m. But John Lewis spent a further £6m on disseminating the ad across different channels making sure that wherever the target audience was spending time, they could find the film and get brand’s message. 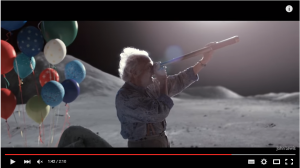 One key element was a social media teaser campaign that led to 2000 mentions of the #onthemoon hashtag before the ad was aired on TV. This succeeded in building anticipation and getting people talking about the ad at a very early stage. John Lewis got it right. What the brand illustrated was that you can’t invest in creative without a substantial, carefully planned distribution campaign. If you don’t invest in distribution, you’re almost certain to underwhelm, underperform and miss opportunities to grab the attention of the people you want to reach – no matter how clever the creative. Your decision to get the channel specialists talking about collaboration was a really smart move. 3. Testing audience response to content ideas using small-scale paid social media trials. In other words, before investing heavily in projects with no guarantee of success you applied a test, learn and refine approach to content marketing. Any PPC manager will tell you that whatever channel you’re using, you need to test different approaches to understand what works best and make the most of your money. But what if you applied the same logic to content? Social media advertising remains relatively cheap, compared to AdWords at least. On most social channels you can “boost” content to extend its reach. Taking Facebook as an example, you can segment the audience and target users by geography, demographics and even their “interests”. So running a limited test of possible approaches to your “big” content concept for the year was a smart step. Effectively, you used social media as a giant focus group … with the added benefit that you drove real clicks to your site. For a small investment of time and money, you emerged with a sense of what content really resonates with your target market. You can apply the same teaser-test principle to YouTube, LinkedIn or even give your content a preview on online communities like Reddit where you’ll get a taste of the reaction from real aficionados on the given topic. If the likes of Kraft, Nissan and Tesco have used social channels to test reaction to new product ideas and service improvements before launch, why not content concepts? 4. Fixing analytics to optimise content performance. 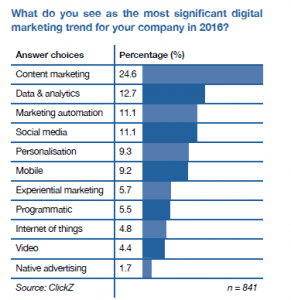 What’s data got to do with content marketing? Everything. How many brands still struggle with analytics set-up, goal-tracking and social media monitoring? Too many. So you decided to fix it. You fixed the basics: de-duped and segmented your email database into categories to start sending different messages and content to new customers, long-standing customers and lapsed customers. You used Google Analytics to identify poor-performing pages of your website and improved messaging and navigation. You used social media monitoring to find your engaged audience and reach them with more of the content they’ve been sharing. You don’t need a doctorate in advanced mathematics to get this right – just a good understanding of common mistakes and the essentials of getting it right. That’s what you did. Smart eh? But what was happening in the wider marketplace in 2016 that influenced your thinking? 1. Digital content marketing got real-time, personal and physical. A few years back “local” went out of fashion – drowned out by all the talk of global opportunities. But in 2016, “local” took a new meaning. Local meant the ability to serve tailored digital content at the right time in the right place; it’s local in the sense of “wherever you are, whenever you’re there”. One step was Google starting to roll out “real time” ads in early 2016 which allowed advertisers to give a timely update to the text or images on existing ads to exploit social chatter or a trending topic. Another development was the growing number of pilot marketing programmes with beacon technology to present people with real-time offers or information on their smartphones triggered by their location – sports stadia, retail shops, even airports. 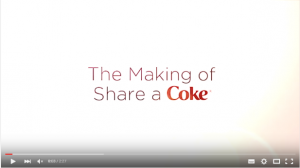 One of the most prominent brands to explore the potential of beacon marketing was Coca-Cola. After the offline success of “personalised” named bottles (see clip), it ran trials of beacon tech in 2015, offering customers at Norwegian cinemas a free Coke. 2. Video got affordable, shorter and went everywhere. But five minutes is a long video these days. The Norwegian media group Schibsted now advises its advertising clients that video ads should be no longer than eight seconds: simple messages that get straight to the point. Meanwhile, the American video news syndication service NowThis has helped revolutionise video engagement on social channels with short, sharp videos with text overlay. It means you can watch without audio if you’re viewing on a mobile device and don’t want to be overheard. Serious subjects are split into digestible chunks and disseminated across multiple channels. The veterans’ charity Walking with the Wounded deployed a similar approach to video for its Walking Home for Christmas campaign in 2015 – generating impressive engagement and clicks to its site. The campaign’s series of videos were devised and produced by Further. 3. Social channels and messaging apps got meaner with traffic – and started eating your website’s lunch. 2015 was the year that social channels started to get mean with clicks – keeping more traffic than ever before inside their apps instead of pushing users to click out to another website. Take Facebook’s Instant Articles: the ability to read whole articles from your favourite newspapers or magazines inside Facebook without having to click to the publishers’ site. Publishers were soon feeling the pain from lost traffic and ad income. But in 2016, it wasn’t just publishers who felt this change: it was consumer ecommerce as a whole. 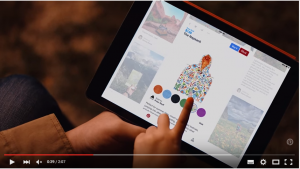 One move in mid 2015 showed the direction ahead: the introduction of Pinterest’s “buy it” button which allowed users to buy the products they were pinning. Other channels followed suit in by offering similar in-app purchasing options, first in the US, before rolling out world-wide. What did that mean for ecommerce and content? It meant a striking a balance between creating content that is engaging enough to look natural in a social newsfeed – but with enough of a call-to-action to prompt the sale. A delicate balancing act indeed. 4. Social media customer service got meaner too. All-too-often, we’re quicker to find fault than offer praise. Social media has given everyone the opportunity to broadcast their gripes against brands. Some brands have managed to take the sting out of customers’ anger with self-deprecating humour. But there’s plenty of evidence many are still struggling to deal quickly and effectively with customer complaints. In 2016, there was an added twist. Twitter – the first social media port of call for many complaining customers – began the year debating whether to lift its 140 character limit. Its Chinese counterpart, Sina Weibo, lifted its 140 character limit on posts in January 2016. The change gave brands more space to say more. But it also turned the infamous Twitter rant from a short burst of bile to a full-blown public row. 5. Everyone talked about virtual reality, very few brands figured out how to use it. Anticipation of virtual reality (VR) gaming and entertainment reached a peak in 2015 with the release in December of a VR experience ahead of the premiere of the new Star Wars movie. 2016 marked the launch of a series of competing headsets: Facebook’s Oculus Rift, Sony’s Project Morpheus and the HTC Vive. But outside Hollywood and the gaming industry, did anyone really know how to offer a relevant, immersive brand experience that customers would really want? The potential was surely there. Think of the opportunities for the travel and tourism industry, for example? 2016 was the beginning of marketers looking for opportunities and big brands to experiment. But 2017 will be the year VR marketing is more widely adopted.